You are currently browsing the category archive for the ‘cover art’ category. [Synchronicity–CNN is talking about book covers today, too! ] As we all know, I am endlessly fascinated by book cover art. I’ve talked about it here, and here, too. A story in Publishers Weekly illustrates the power of a great package. 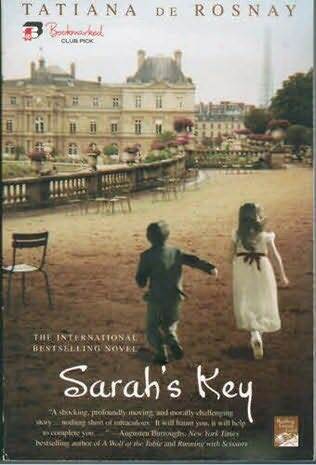 Sarah’s Key by Tatiana de Rosney was one of my favorite books of 2008. The novel garnered rave reviews, incredible word-of-mouth, excellent foreign sales…and a disappointing sale of 6000 copies in the US. Guess why? Need I say more? Where do I begin? With the pale re-use of an iconic image from a previous bestseller? http://ecx.images-amazon.com/images/I/51TDTNS7HZL._BO2,204,203,200_PIsitb-sticker-arrow-click,TopRight,35,-76_AA240_SH20_OU01_.jpg With the undistinguished font? The murky colors? The ambiguous imagery and mixed message? No wonder readers overlooked this poor book. But this is why I love book people. When their passion for a project kicks in, there’s no stopping them. 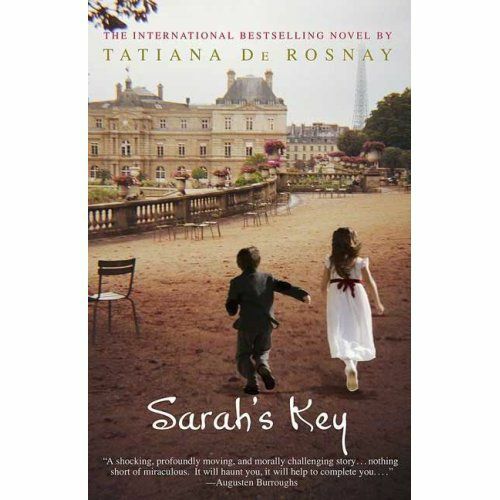 According to Publishers Weekly, http://www.sarahskey.com/article-24703998.html the book’s publisher stepped in and had the book repackaged in trade paperback format, with a thoughtful and intriguing new cover: http://idata.over-blog.com/0/51/68/46/sarah-bis/SKUSA.jpg featuring an irresistible blurb from Augustin Burroughs. Oh, and a new price point, don’t forget that. The result? Sales leaped up to 185,000–making this book a legitimate bestseller and giving the author the happy ending she deserves. Need I say more? Where do I begin? With the pale re-use of an iconic image from a previous bestseller? With the undistinguished font? The murky colors? The ambiguous imagery and mixed message? No wonder readers overlooked this poor book. A wonderful novel deserves better, don’t you think? But this is why I love book people. When their passion for a project kicks in, they’re willing to regroup and try again. According to Publishers Weekly, the book’s publisher stepped in and had the book repackaged in trade paperback format, with a well thought-out and intriguing new cover and an irresistible blurb from Augustin Burroughs. Oh, and a new price point, don’t forget that. The result? Sales leaped up to 185,000 (and counting)–making this book a legitimate bestseller and giving the author the happy ending she deserves. Soooo…I will try to post my summer reading here, but I’m very lazy about broadcasting what I’m reading, because I read so much! But this is a novel you won’t want to miss. Heartbreak and redemption and a little-known (to Americans) bit of WWII horror. 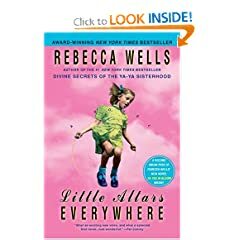 A must for book clubs! Most hotly anticipated new book: Love Matters by Delilah, a syndicated radio host. I knew I was goig to like Delilah. Like most other parents on the planet, I used to have to force myself to stay awake while waiting for my teenaged daughter to get home from her weekend outtings. In order to keep the imagination from going overboard, I used to listen to Delilah’s soothing voice and music choices on the radio. She was my Friday and Saturday night comfort fix. And now she has a book. I’m thinking it’s a lot higher on my list than the Miley Cyrus book. Most massive hit du jour: Twenty Wishes by Debbie Macomber. I remember reading in Publishers Weekly, years ago, that LaVyrle Spencer’s print runs in hardcover were in the 400,000 range, which is massive. Very few writers get to that point. According to a more recent PW, Debbie has reached that pinnacle. Incredible achievement, well deserved, by the one of the nicest and hardest-working writers I know. Hottest middle-grade children’s book at the show: Fortune’s Magic Farm by Suzanne Selfors. Hottest debut novel: Oxygen by Carol Cassella. Anti-climactic “reveal”: the cover art for the next Stephenie Meyer book. It’s a chessboard, very handsome but not as much of a showstopper as the first three, IMO. Cutest cover: Dewey, the Small-Town Library Cat. WARNING: It’s a pet memoir, okay? And everybody knows pet memoirs all end the same. So get out the duct tape and seal the last couple of chapters shut. Unless you like that sort of thing. Unless you like hitting yourself in the head with a hammer. Best Lemony Snicket knock-off: Pseudonymous Bosch. A knock-off doesn’t necessarily have to be bad, and in this case it’s irresistibly good! In fact, I liked this even better than the Lemony Snicket series. Most relaxing-looking cover: Off Season by Anne Rivers Siddons. Most forbidding-looking cover: Testimony Anita Shreve. A real hot-button storyline, too. I’m a sucker for boarding-school books. No idea why, but I am. New Rule: Do not wear your adorable pink Gabriella Rocha heels on the mirror-slick convention hallway floors. (AKA the “what were they thinking?” floor surface) Nuff said. Huge lines in the booths for Michael Connelly, who patiently signs at Hachette for a long time. Barbara Walters looks exactly like she looks on TV although she is tiny. TINY. Her line was probably the longest I saw. Brooke Shields is so beautiful I doubt she’s human. Kirk Cameron (what show was he on?) 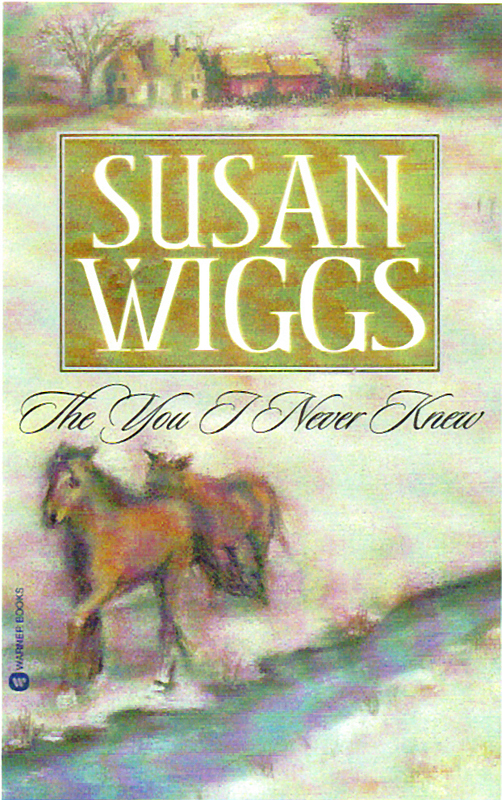 has a book–a Christian memoir, I think. I find Anne Rice in the Knopf booth so I can give her and her sister Karen a Just Breathe ARC. The book is dedicated to Anne’s other sister Alice Borchardt, who was in my first critique group. She was my mentor and friend for twenty-five years. She passed away in November and Just Breathe is dedicated to her. Anne looks lovely and it’s a short, emotional conversation.